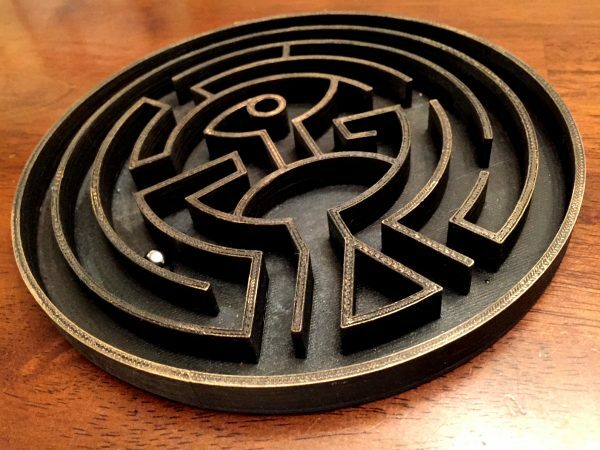 A 3D Printed Westworld Maze Replica « Adafruit Industries – Makers, hackers, artists, designers and engineers! Sometimes props are much more than mere objects used by characters; they can be MacGuffins or objects otherwise woven into the plot. So it is with the maze “toy” in the first season of Westworld. It’s not just a guide through the park, it’s a path for the hosts (robots) to wake up and gain human conciousness. And Replica Prop Forum (RPF) user Valor used 3D printing to create a spot on replica that would pair nicely with a Dolores costume. 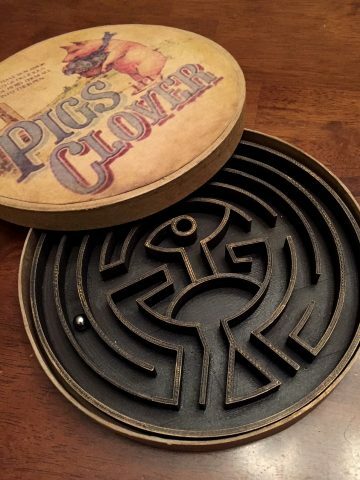 My replica maze is 3D printed. It’s actually amazing how much the texture of the 3D print resembles wood when you paint and weather it. The round box is made from a found paperboard canister. The label, captured from a screen grab from the show. Everything is stained, and weathered to fit the old west aesthetic of the show. See more at The RPF.